A very good podcast that is a good listen. only bad thing I'd say about it is that they still won't tell us why mystery show was cancelled and what happened to make their decision to stop it. It’s no mystery that Success Academy has high expectations — not just for its teachers, but also for its parents and students. Having a high bar is the key to Success’ amazing results. But the charter network’s expectations can make life hard for families and kids who don’t quite make the mark. In this episode, we will hear from two families who ran headlong into Success Academy’s high expectations.<br><br>-- <br>Thanks to our sponsor, Cole Haan. You can hear more of Lisa and other Gimlet hosts in conversation at <a href="http://extraordinariesonthemic.com/">ExtraordinariesOnTheMic.com</a>, produced in partnership with Cole Haan. Success Academy has grown quickly — in just 12 years, the network has gone from one school in Harlem to 47 schools across New York City. In order to do this, Success has had to hire many inexperienced teachers, and move them up the ranks quickly. <br><br>Amidst all this growth, there is a lot of pressure on the staff to continue performing at incredibly high levels. And Success has managed to keep crushing the state tests. <br><br>In episode 4 of the series, we examine how growth has changed Success for better, and for worse.<br><br>--<br>Thanks to our sponsor, Cole Haan. You can hear more of Lisa and other Gimlet hosts in conversation at <a href="http://extraordinariesonthemic.com/">ExtraordinariesOnTheMic.com</a>, produced in partnership with Cole Haan. Hell, homosexuality, and the role of women in church — these are some of the most sensitive topics in Christian theology today. And the implications are huge: where an individual church stands on these issues can have a major effect on who does or does not attend, and … who gives money.<br><br>A common critique of church plants is that they present as progressive, but at their core, many still hold very conservative beliefs. People can attend for months or even years without understanding where their church falls on topics like gay marriage or the ordination of women. So on this week’s episode, we sit down with pastor AJ Smith and ask the tough questions.<br><br>This is the fourth episode in our series. In the world of church planting, every Sunday counts… but there are a couple Sundays each year that can truly change the fate of a church. One of them: Easter. If you want to grab somebody who is <em>open </em>to church, but for whatever reason isn’t going, Easter is the time to do it. AJ and Leah need to double the size of Restoration by the end of this year, so they need this day to go well. They don’t have a fancy egg dropping helicopter or an egg shooting cannon like some churches do, but they do have a plan… one that involves 100 frozen chickens. In this week’s episode, we follow AJ and Leah as they give everything they’ve got to make their plan work.<br><br>This is the third episode in our series on Church Planting. Listen to the first episode <a href="https://www.gimletmedia.com/startup/church-planting-1-the-movement#episode-player">here</a>. Season 7 of StartUp is almost here! On April 27th, we’re taking you into the world of venture capital with Silicon Valley’s most unlikely power broker: Arlan Hamilton.&nbsp; <br><br>Here’s a sneak peek of our story.<br><br>And are you looking for more Gimlet in your life? Then click <a href="https://www.gimletmedia.com/spring">here</a> to view our guide to other Gimlet shows coming this spring. Every day this week we’re following StartupBus, a hackathon on wheels, where a bunch of strangers come together to launch companies in one week, all while on a bus. If you haven’t heard Monday’s episode, start <a href="https://gimletmedia.com/episode/startupbus-part-1-monday/">there</a>.<br><br>It’s Thursday, day four on StartupBus. The bus has finally arrived in New Orleans, where teams from all six buses will go up against one another and pitch for a spot in the finals. By the end of the day, only five teams will be left standing. And a behind-the-scenes look at the judging process raises some concerns for reporter Eric Mennel. This summer, 20 strangers got on a bus headed from New York to New Orleans. For five days, they had one goal: to build and launch companies while on the bus. We’ll be telling this story as it unfolded — with one new episode, every day, over the next five days.<br><br>Today’s episode: Monday. Day One. This past summer, 20 strangers got on a charter bus headed from New York to New Orleans. For three days they had one goal: Build and launch companies from inside the bus. And then? Compete against each other.<br><br>Reporter Eric Mennel documented it all. And next week, it drops as a five-day, in-real-time miniseries. When a group of college kids in Florida set out to change the music industry, they did not anticipate how disruptive they would be. Their mission was a noble one: bring an end to online piracy by offering cheap, convenient, and legal access to music. Their execution, however, was less than thorough. And when you’re dealing with protective music labels, forgetting to dot an “i” or cross a “t” can mean being one lawsuit away from the swift and unceremonious collapse of your company.<br><br>This is the story of Grooveshark, the people who built it, and the relationships that were tested during its rocky road to growth—and its eventual demise. 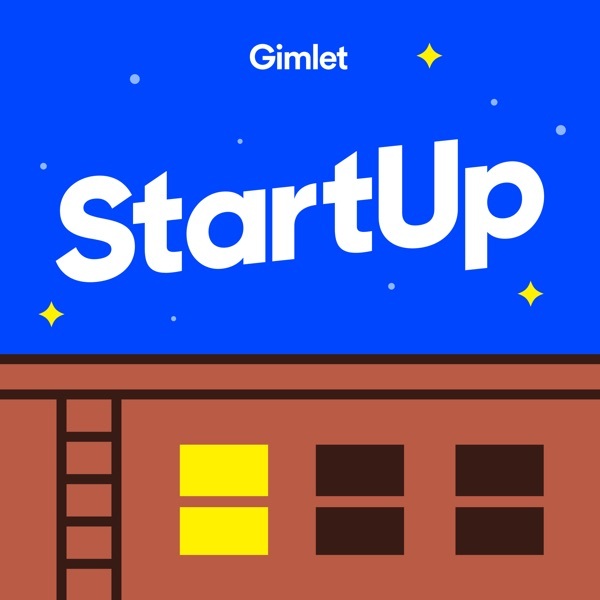 On the last episode of StartUp, we followed the <a href="https://gimletmedia.com/episode/grand-challenge-season-6-episode-7/">government-sponsored desert race</a> that launched the self-driving car industry. This week, we see what the industry looks like today. You’ve probably heard that Google, Uber, and Tesla are pumping resources into developing autonomous vehicles. But there are plenty of smaller, younger companies in the space. What are they doing to keep up with the major players? Lisa Chow and Alex Blumberg sit down together to talk about the future of StartUp.<br><br>And, we introduce you to Gimlet Media's newest podcast The Nod. Co-hosted by Brittany Luse and Eric Eddings, The Nod celebrates and explores the multitudes of Black culture and Black life. For more information, visit gimletmedia.com/thenod. StartUp returns September 1st with a brand new season. Here's a preview of what's coming up in Season 6.<br><br>And are you looking for more Gimlet in your life? Then click <a href="http://fall.gimletmedia.com/">here</a> to view our guide to other Gimlet shows returning this fall. In 2007, Dov Charney took American Apparel public, placing the company under heightened scrutiny. This meant Charney lost the privacy and autonomy he’d grown accustomed to.&nbsp; And, as more stories emerged from inside the company, some began to reevaluate the man they’d chosen to work with. Dov Charney is trying to rebuild a multi-million dollar apparel company from the ground up. But he can’t do it alone. In this episode, we’ll hear from the people who have signed on to work with Charney, the people who have remained loyal to him since the early days of American Apparel, and those who have been inspired to join him in his new venture.<br><br>The commitment Charney receives from his workers feels like a double-edged sword—the more they devote their time and energy to his new company, the more they depend on its success. This time around, the pressure to succeed feels much, much higher.<br><br><br>To learn more about Undone and the other shows Gimlet is launching this fall, go to <a href="http://gimlet.media/fallslate">gimletmedia.com/fallseason</a>. Edgar Diaz has dedicated his life to dairy. He sees an incredible beauty in milk and the things that can come from it: soft cheese, rich dulce de leche, and creamy yogurt.<br>He knows that to produce a really good yogurt, the conditions are just as important as the ingredients. You can use the freshest milk, but if your temperature is off or the timing inexact you risk ruining the whole batch.<br>Edgar has a lot in common with some of the world’s most successful founders: intense passion, a deep knowledge of his product, and awards and acclaim from peers in his field. He seems to have all the ingredients for success, and the conditions seem right, so why is he so far from it? Coss Marte went from running a multi-million dollar drug operation to sitting in solitary confinement. And it’s here, alone in his cell, where he gets the idea for his next business: a fitness company inspired by his time behind bars. But Coss quickly learns that building a legal business comes with its own set of challenges—one being that pitching your company on stage to a bunch of investors requires a slightly different approach to selling an eight-ball outside a busy New York club.<br>Building a startup is a tough and uncertain endeavor for any founder. But for one with a criminal history, the journey can be far more complicated. Coss Marte is getting ready to pitch his company to a panel of prominent entrepreneurs and an audience of hundreds. He’s competing against five other startups for a chance at $100,000. With this money, Coss hopes to grow his small exercise studio in the Lower East Side of Manhattan into an international fitness brand.&nbsp;<br><br>But this isn’t his first experience with scaling up. In his early twenties, Coss ran a business that brought in nearly $4 million in annual revenue, a business that catered to doctors, judges and lawyers. A business that landed him a seven year prison sentence.<br>This is part one of Coss’s story on his path from felon to founder. Two men decide to start a company. Everything is going well... until it’s not. That’s the moment they decide to start recording their conversations—painful, awkward, emotional conversations.<br><br>Jason and Vincent launched Bento about a year ago. Their goal was to make Pan-Asian food fresh, tasty, and on-demand. They joined the food tech swell just as it was winding down, just as the funding was drying up, just as the smaller players were being weeded out. With only a year under their belt and a quickly draining bank account, Bento’s odds don’t look good. We listen in on the co-founders as they try to decide whether their setbacks are just bumps on the road to success or a sign to shut things down. Lessons on building an audience&nbsp;<br><br>While working on this episode, we realized we want to know more about our audience. So, we created a survey. It takes about two minutes to complete, and you can find it at startuplistener.com&nbsp; We would be very grateful if you took the time to help us learn more about our listeners. Thanks! This is a series about what happens when someone who knows nothing about business starts one. It's called StartUp.&nbsp; In episode one, Alex Blumberg botches his pitch to Silicon Valley billionaire Chris Sacca.